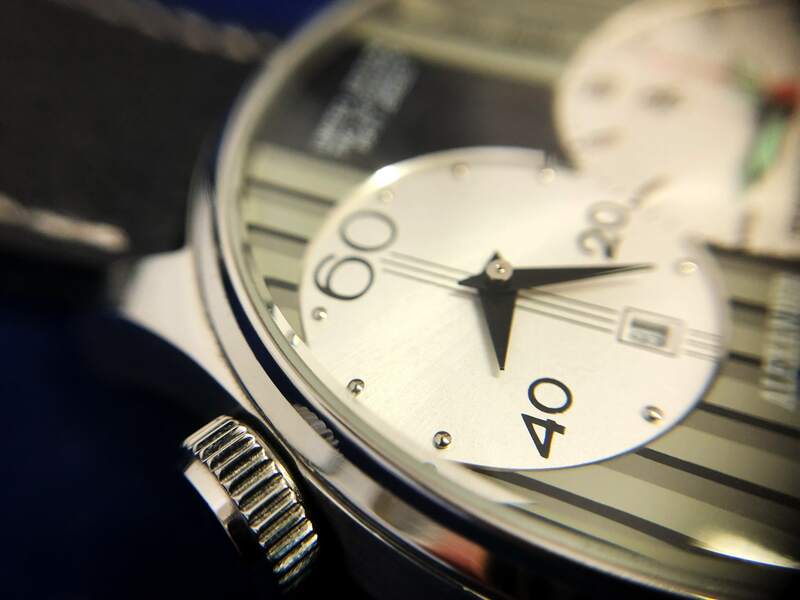 Matchless charm, extraordinary creativity and avant-garde handling of clear lines – those are distinguishing characteristics of the watch “Stripes”. 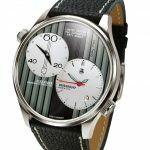 This timepiece impresses with the effect of its interplay between straight strips and properly separated, round timekeepers on the one hand, and the creative play with design element stripes in various colors and shapes on the other hand. 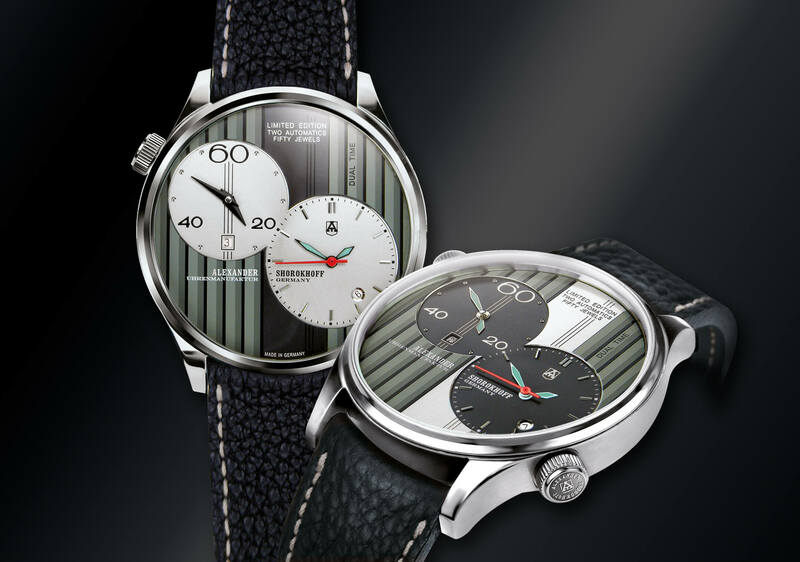 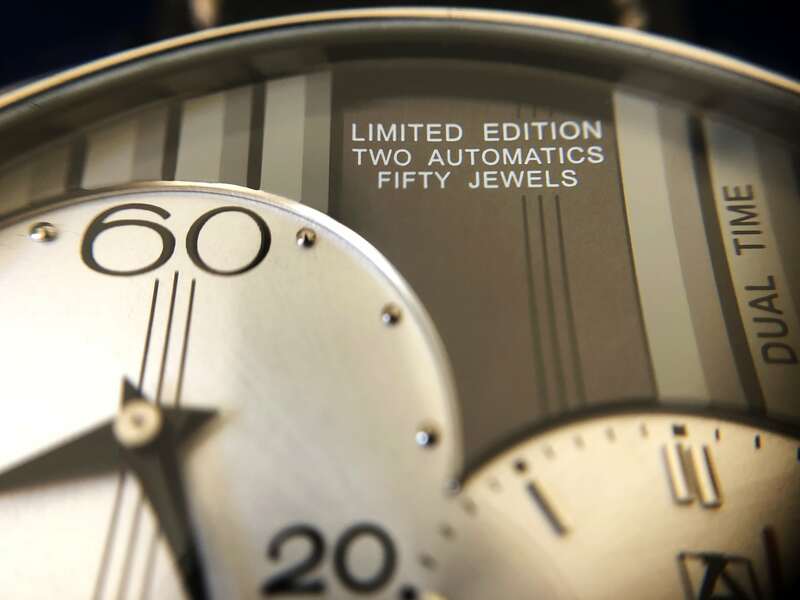 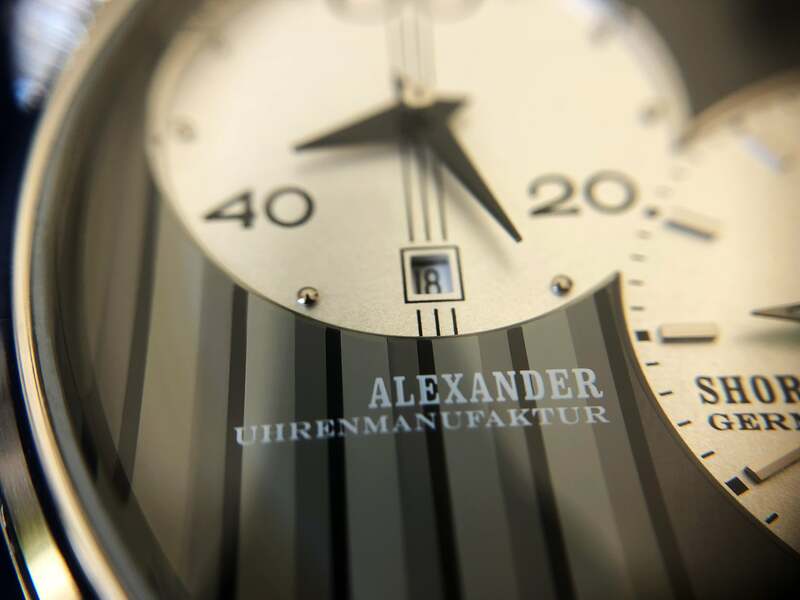 The double-timer, together with the discursively applied design features, symbolizes the uniqueness of the brand – Russian Avant-garde inspired creativity and first class precision “Made in Germany”. 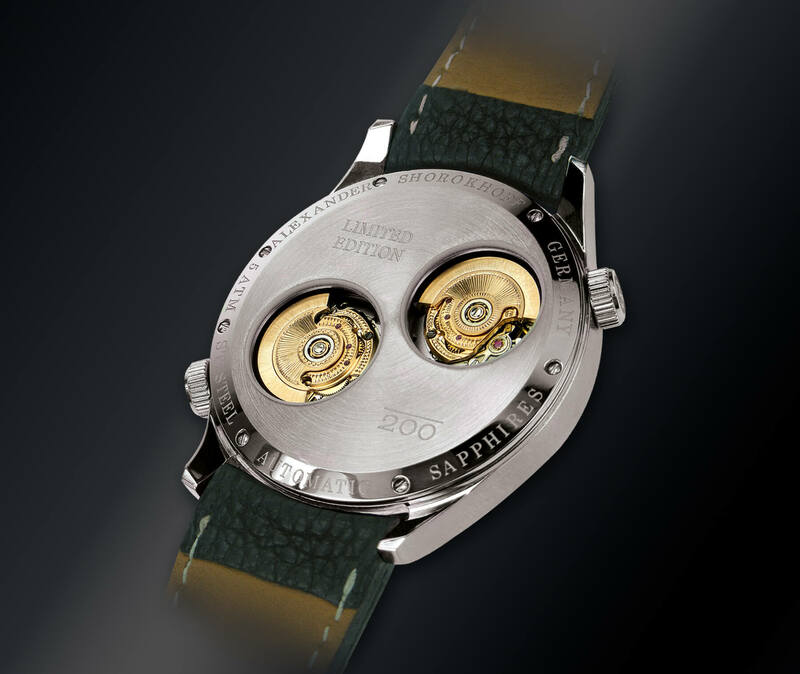 Just like all other Avantgarde-models, the 47mm large watch uses hand-engraved and elaborately refined mechanical automatic winding movements from our manufacturer. 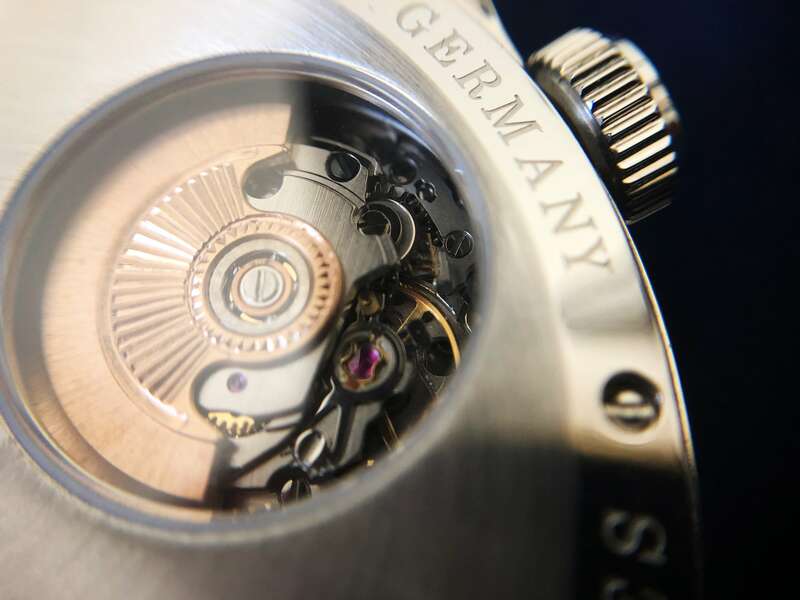 Two sapphire glasses on the back of the watch reveal the beauty of these unique model. 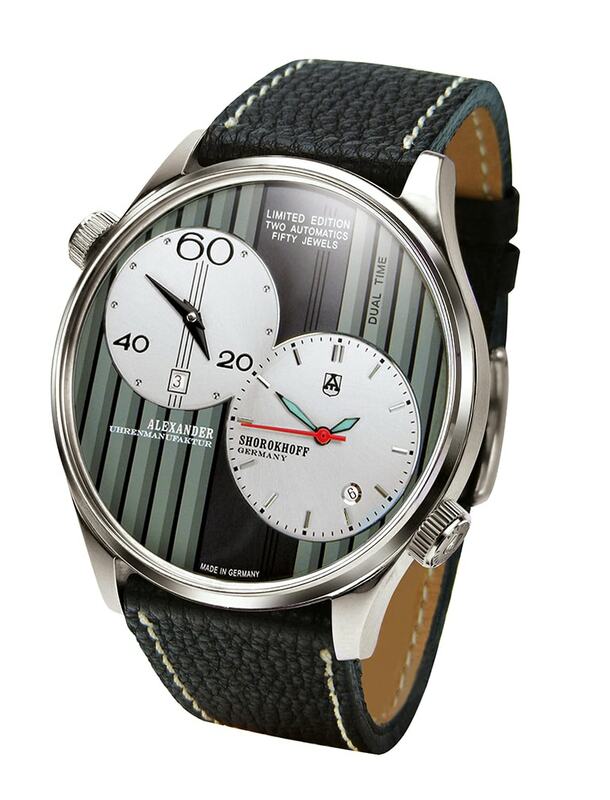 The limitation of 200 specimens per model makes this watch “Stripes” a desirable luxury for true watch connoisseurs.